I got some very upsetting news this week about my dear friend and editor, Mike Szymanski. 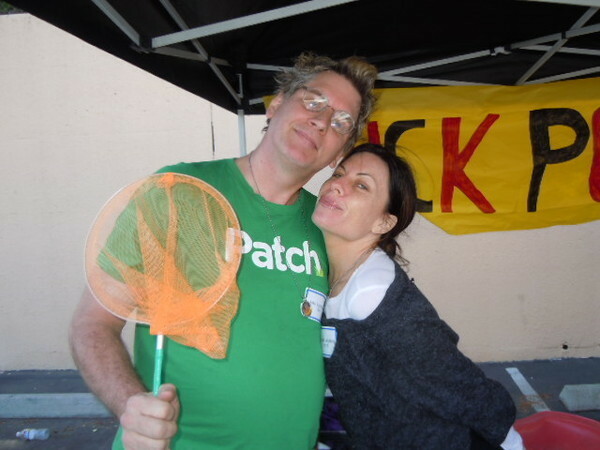 Mike Szymanski, for those who might not know, is the man behind Studio City Patch. Three years ago when Studio City Patch first launched Mike was the man who created the world in which you visit daily. He found the columnists, the features, the photos, the videos. He covered the political, entertainment, educational and personal stories that has made Studio City Patch what it is. Susan, would you write a weekly column about your life? I think we should call it, Studio City Mom. Not having ever written a column before I said, yes. Three years later I’m still here and you have been here too. Even when they stopped paying columnists to write I stayed. Even in recent months since the site has been taken over, the look has slowly changed, no one gets paid for their columns, anyone can blog, and trying to find past columns, photos or videos is impossible… I stayed. I stayed because of my love, loyalty and gratitude for Studio City Mom, my readers and my friend and editor, Mike Szymanski. But, with the news of Mike being fired for no reason other than they can find someone else who will do it for almost no money… that’s when I say, enough. They can hire a “body” to be the new editor but what they lose in letting Mike go is a man who put his heart and soul into Studio City Patch. Who made it the most popular of all the Patch sites. Who lives in our community, has children in our schools, covers more stories, drives more miles, takes more pictures, gives more time and money from his own pocket than anyone ever would and does so for very little income and very little attention. He stands in the dark letting Studio City Patch get the praise and glory and that has always been enough for him. So, when Mike and I sat at breakfast and he told me this news I knew it was time for me to say goodbye. I would rather write a weekly column and post it on my own website and hope that you will visit me there. Because I’m not ready to say goodbye to all of you. My incredible, loving, kind readers who have been so loyal to me. Who have shared stories, experiences, humor with me and have helped me get through life… one column and a time. My final column for Studio City Patch will be the last Monday of September which is also the last week Mike Szymanski will be the editor here. After that I plan to post my column every Monday on my own website. Please be patient as I build my site but if you would like to keep our friendship going you can find me carving out a new space to write at www.susanmcmartin.com. Thank you, Mike, for your talent, your time and your friendship. Life is a journey, as you know from watching mine… just show up and be ready for the surprises that await you.